Get started painting Death Guard with this paint set! 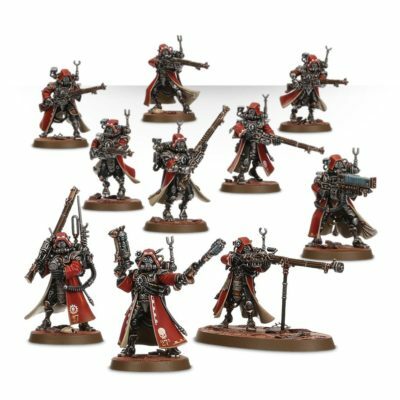 We’ve taken the essential paints you need to paint your Poxwalkers and Plague Marines and packed them into one bundle, complete with a starter brush and models. 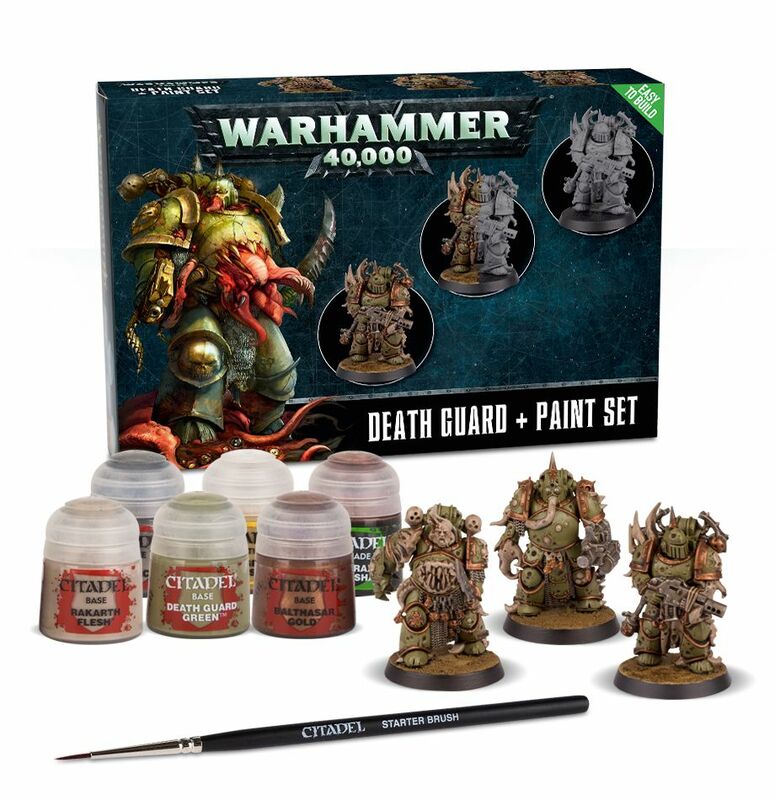 Inside the set, you’ll find 6 12ml pots of paint: Agrax Earthshade, Balthasar Gold, Death Guard Green, Leadbelcher, Rakarth Flesh, and Armageddon Dust for adding texture to your bases. 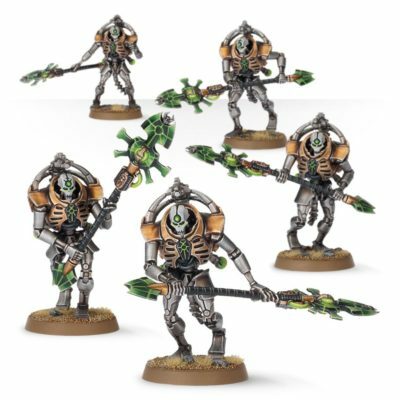 What’s more, you’ll get three Death Guard miniatures – perfect for reinforcing your army and practicing your skills. 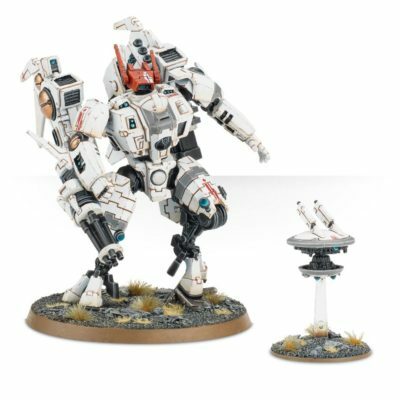 If you’ve picked up First Strike or some push fit models, this set contains all you need to get it tabletop ready – with a bit of practice, you’ll be painting like a master in no time.